There was a valuable business lesson to be learned from yesterday’s Mexico/Netherlands game. I don’t know if you watched it, but the Mexicans took a lead early in the second half. This was more than a bit of a surprise – the Dutch are one of the favorites in the World Cup and the Team Mexico had barely qualified. El Tri have rarely made it past the round of 16, the stage of the tournament in which this game was played. They didn’t make it this time either and we can learn from what they did. After a quiet start, Mexico dominated the first half and scored early in the second. They played attacking football. Once they scored, however, the went into a shell and were content to sit back on defense, making the occasional counter-attack but mostly allowing the Dutch to come at them. 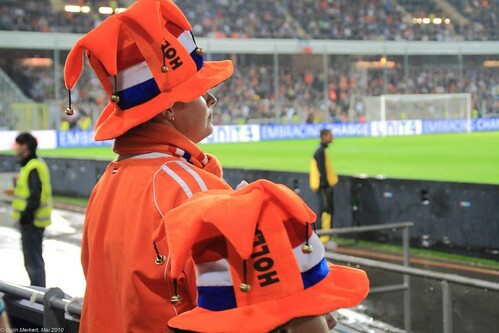 Holland is one of the best teams in the world and features three of the best players in the world in the attacking end. It was only a matter of time before they tied the game given many chances to do so. yet Mexico played defense. Sure enough, the game was tied after a corner kick (Mexico had kicked the ball out defensively) and lost when a Mexican defender gave the ref a reason to call a penalty on a (perhaps phantom) trip. Why the sports report today? Because we often make the same mistake in business. We get to a point where we’re happy with what we’ve got and then we play defense. We don’t develop new products or services. We don’t encourage our people to advance their skill set. We sit back and allow the competition to come at us and put all of our resources into defending or delaying their attacks instead of making them wonder how to defend ours. The time to play defense in business is when there are overwhelmingly negative forces in the market and not when you have a lead. There will always be other companies attacking you and playing defense is part of any business plan. However, building a small advantage and then expending all your resources to defend it usually puts you out of the tournament. Thoughts? 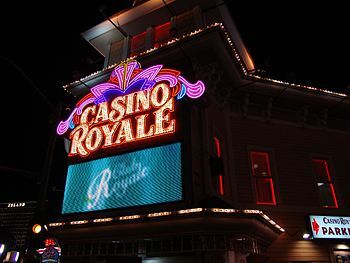 For our Foodie Friday Fun this week I’d like to ask you what your local supermarket and a casino have in common? You might not have noticed but neither of them have clocks that are highly visible. In the case of the supermarket there is a general rule that says the longer someone is in the store the more money they will spend (I suspect the same is true of a casino) so they don’t want anything to remind the customer that time has passed. That’s one of the things each of these very different types of establishments do to increase sales. You’ve probably never seen windows in either place (in fairness very few stores have windows other than up front), and both deploy a wide range of sensory stimuli to encourage spending: music, fragrances, lighting, even nuances like colors. Which is very good guidance for any of us in any business. The strongest connection you can have with a customer is an emotional one. Your pricing may change (for better or worse in the customer’s eyes) but their memories of having been treated like a special guest won’t. If you’re tending to their needs and making sure they’re content instead of “doing transactions” you are creating a bond. It can be with content or it can be an in-person interaction but engagement through an emotional connection is as good as it gets. Think about that while you’re wandering the aisles! It’s summertime and I’m sure you’ve already had your first run in with a swarm of gnats. There are lots of different types of them and you can almost see clouds of them at time during summer evenings. You might not realize that business has gnats too and those are our topic today. We create these business gnats ourselves – they don’t hatch from egg clusters as do the bugs. I want us to think about why we do so. 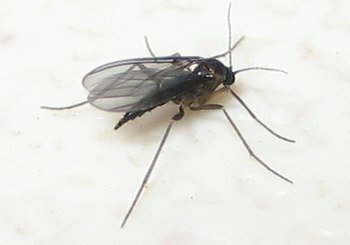 Gnats are little bugs and I find them very annoying. Yes, they’re harmless but they’re unpleasant. They can also be a distraction – let’s see you read at the beach with a gnat buzzing around you. Business gnats are the same way. These are the little problems which serve as distractions from the things we ought to be doing. Instead of worrying about big questions – what are our business goals and how do we align everything that’s going on in our enterprise with those goals – we focus on little stuff. How many Facebook “likes” did we get this week and how can we get more? Making things complicated is akin to creating optimal conditions for hatching gnats. Yes, I’m an advocate for things like A/B testing to improve conversion rates but only after we’ve dealt with the business fundamentals that make conversions necessary. Moreover, what are we measuring and why is a much bigger and important issue and the gnats of tweaking our Instagram strategy. How does one get rid of gnats? For the flying kind one good thing to do is find their food sources and cut them off from it. For the business kind doing that is easy – go look in the mirror or around the table at a staff meeting – there’s the food source. Discourage people from finding little problems – or even worse, making them up – so there aren’t distractions flying around. Maybe you could hand out fly swatters to everyone in order to remind them to kill the business gnats around them. Make sense? I’m sure that’s what the data said. It’s throwing the baby out with the bath water, however. Monitoring what and how consumers are talking about with respect to your brand is invaluable. Giving them the opportunity to reach you directly can’t be a bad thing, can it? Sure – if social is just a place to broadcast more brand news, sale information, or videos of your TV ads, you’re probably missing the boat. Analyzing social-media conversations to see what consumers like and don’t like is smart. Actually, it’s kind of mandatory. Once again, a focus on the tools (social media) instead of the business is what barking up the wrong tree really means. Using the social channel to gather information and take action where appropriate is smart business. You with me? One of my clients has a few of their summer interns starting this week. Napoleon Dynamite: Well, nobody’s going to go out with *me*! Pedro: Have you asked anybody yet? Napoleon Dynamite: No, but who would? I don’t even have any good skills. 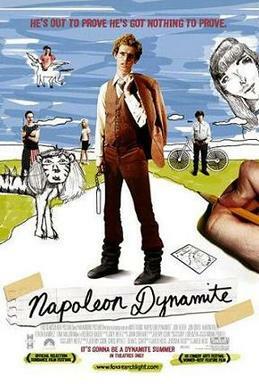 Napoleon Dynamite: You know, like nunchuku skills, bow hunting skills, computer hacking skills… Girls only want boyfriends who have great skills. OK, maybe the interns aren’t worried about THOSE skills, but a recent survey by the Econsultancy folks asked about the skills necessary to succeed as a modern marketer. You can read a summary of the report here. I found it encouraging because in addition to the specific technical skills the job requires, many top marketers are now emphasizing the “soft” skills I’ve always advocated as being the most important set of requirements in any job. When respondents to our survey were given a pre-selected list and asked to rate which softer skills were most significant, those that scored most highly as being ‘very important’ included the ability to embrace change, to spot opportunities and adapt strategies quickly, and also being passionate, curious and hungry to learn. In other words, the “skills” you can’t teach. It’s not about a high IQ (although that’s not necessarily a bad thing) but about an ability to learn. Scratch that. It’s about a candidate having a passion to learn – the ability to be a self-motivated learner. The key softer skill mentioned most by interviewees was articulation and persuasion but I don’t think you can be either of those two things unless you can ingest and digest the raw information you need to make cogent, coherent arguments. I’m looking forward to working with the interns and to teaching them some of the technical skills they’ll need as they begin their business lives. Hopefully their parents and teachers have already done the hard part by nurturing their natural curiosity about the world and getting them to be open to new ideas and information. Do you have interns working with you this summer? What skills have they brought? What are you bringing? Over the weekend I came across a video of a graduation speech given by comedian Mike Myers. The fact that I watched it at all is a tribute to the concept of social proof. I normally don’t watch graduation speeches unless they’re by someone in whom I have a great interest. While I like many of his films and his SNL work, Mr. Myers normally wouldn’t pass that test. However, it was posted by a guy whose thinking I respect and he said it was worth a few minutes. I’m posting the video below – it is worth the almost 8 minutes and you can probably skip the first 1:30 if you’re that pressed for time – and then I have a few thoughts. “Legendary” is being known for something that you do and “famous” is just being known. Being known has become an end in itself, free from the prerequisite of achievement. Celebrity used to mean being celebrated for something that you did; celebrity has become a devalued currency. That is brilliant, and a fantastic business lesson for all of us. We can spend great sums of money becoming famous – getting our brand and company names out there via earned, owned, and paid media. What happens once the customers interact with us, having found us through those channels, is what can make us legendary. It means we need to pay as much attention to execution as we do to attraction. Napoleon has been quoted as saying “Fame is fleeting. Obscurity is forever.” He was advocating for the permanence of obscurity, because it endures, while fame is weak and lasts only a small amount of time. I think Mr. Myers is getting at the same point. We can’t build our businesses on making loud noises or the marketing equivalent of screaming “fire” in a theater. Sure, that gets attention (fame) but we’re in an era when anyone has access to the noisemaking tools (witness the screed!). We need to build something more substantial if we’re to remain in business for a long time. We need to become legendary. I’m trying each day – you? Foodie Friday (finally) and this week’s food screed is about cooking. I’m always surprised that many people – younger people in particular – can’t cook. Oh sure, they can heat up something in the microwave and say they’ve “cooked” supper, but since food is one of life’s necessities, one would think that everyone would take the time to learn to prepare it. There are some basic business points in my thinking as well (you knew THAT was coming…). I can hear the naysayers among you: “Cooking takes time and I don’t have any.” Not true. Once you’ve learned a few basic skills, you can have really good dishes on the table in under 30 minutes. That’s not longer than it takes to heat a frozen meal up in the oven and while the microwave might cut that time down, there is no comparison to the quality (plus you’ll generally have some leftover for the next day). Other reasons to learn to cook: you know what you’re eating. I guarantee you can pronounce the names of everything you put in a dish – read a frozen food package and see if you can say the same. The ingredients are healthier too. Ordering in? Besides being more expensive than doing it yourself (even factoring in the cost of your time), you have no clue how much salt or fat was used, no clue if everything was as scrupulously clean as you would make it, and no idea if the food will arrive hot (ever had a pizza arrive with a steamed crust – yuck). Finally, cooking is fun. OK, maybe not so much when it doesn’t go well, but for me it’s almost a form of meditation. It takes you away from the rest of your world and forces your focus elsewhere. So why this rant on why you should learn to cook? Like the non-cooks, many businesses haven’t learned some of the basic skills they need, thinking they can outsource them or buy an off-the shelf solution. In some cases it makes sense – it’s like going out to eat every so often.But take, as an example, a web business that outsources all of its coding and design. That firm is at the mercy of the developer. They can’t “cook” for themselves. Obviously I’m a “dine out”solution for my clients so you know I’m a fan of looking outside for some tasks. But mission-critical skills – which will vary by business – should be acquired and available, just like cooking.